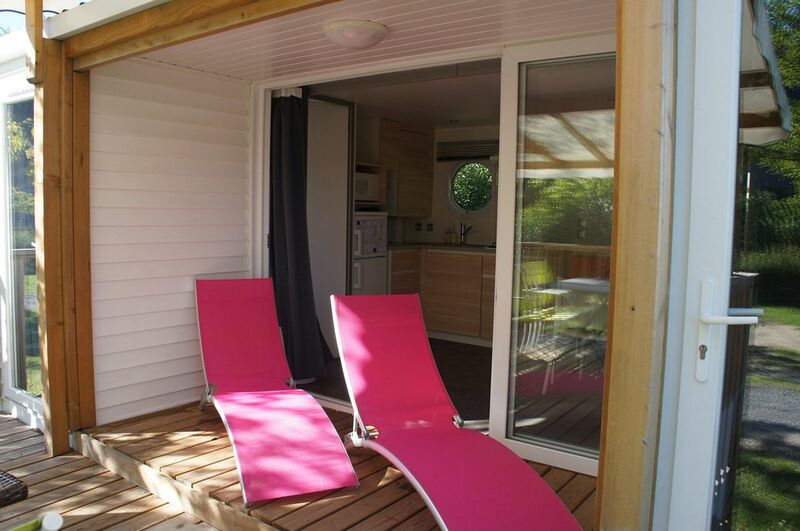 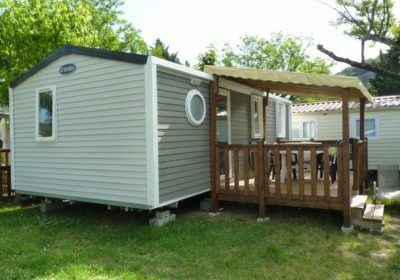 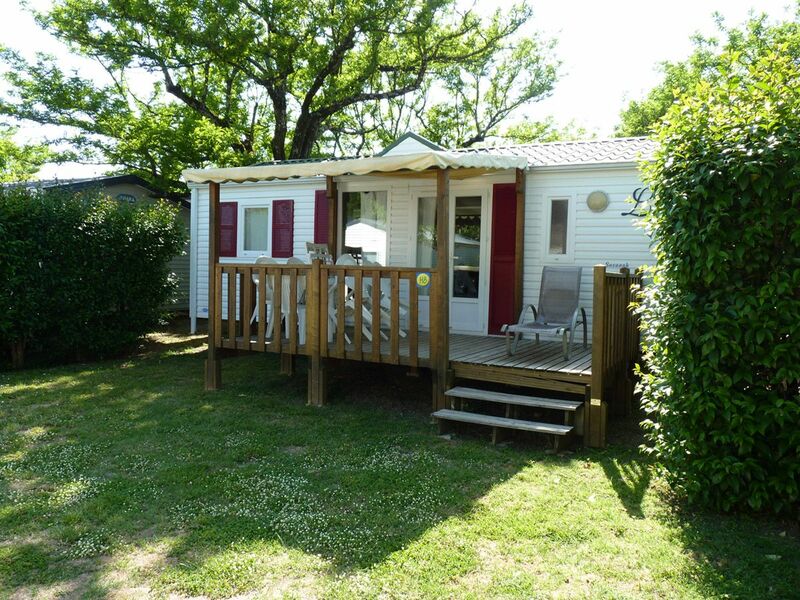 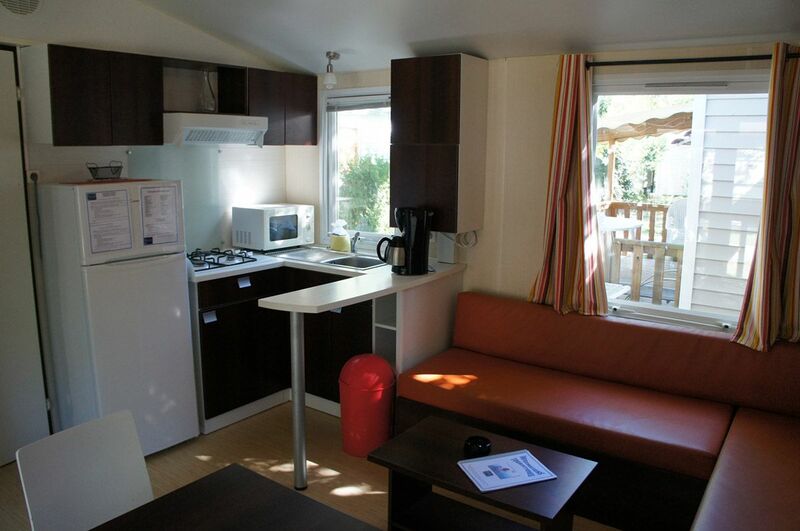 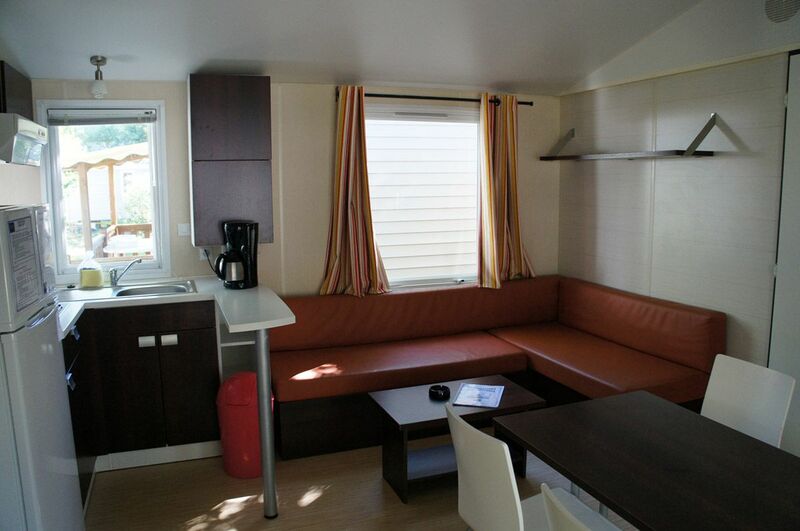 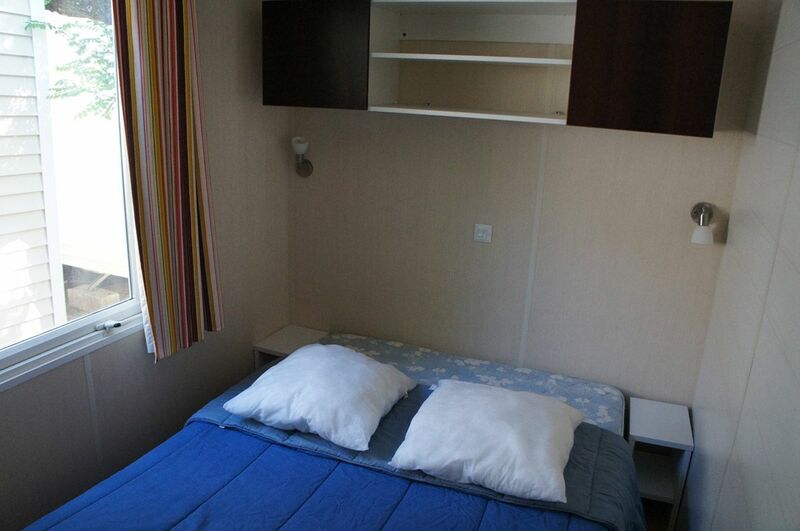 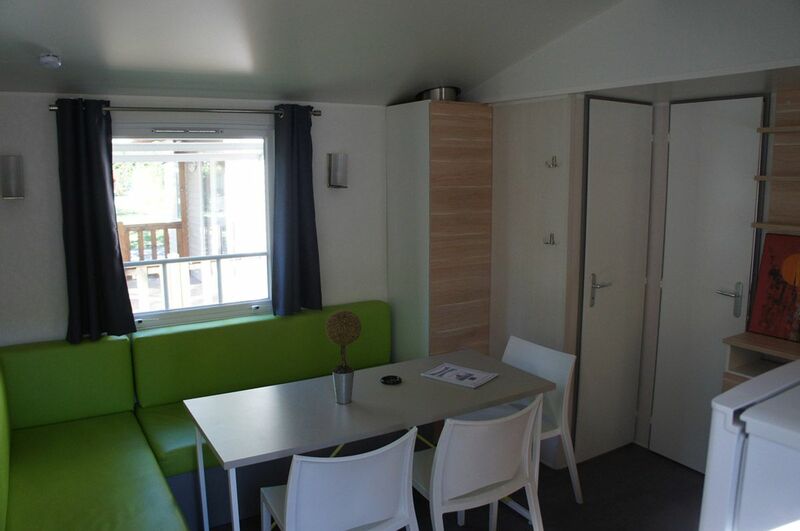 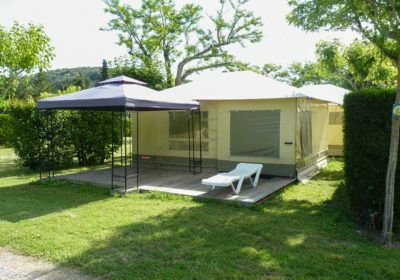 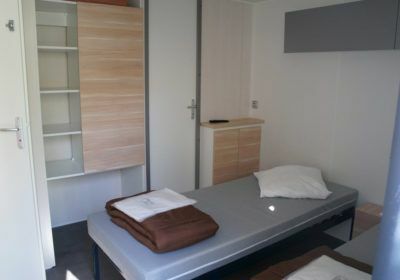 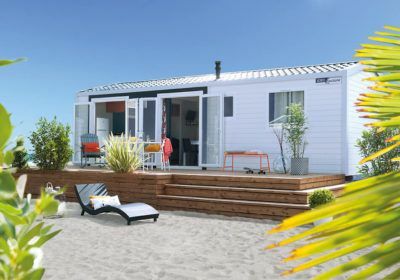 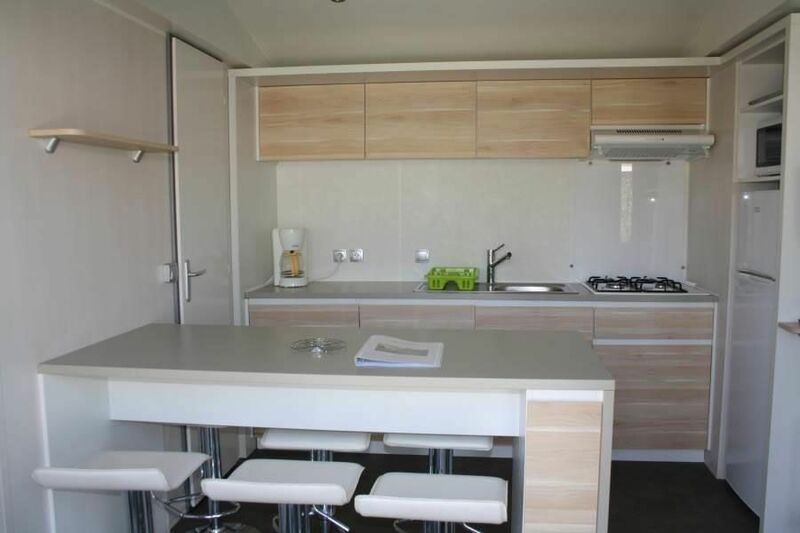 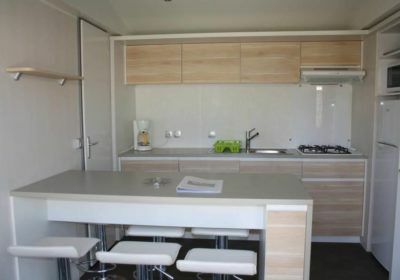 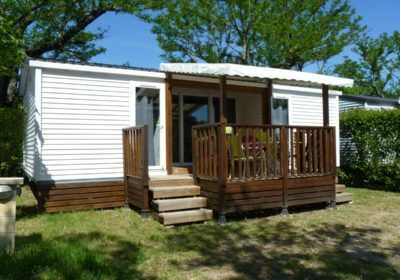 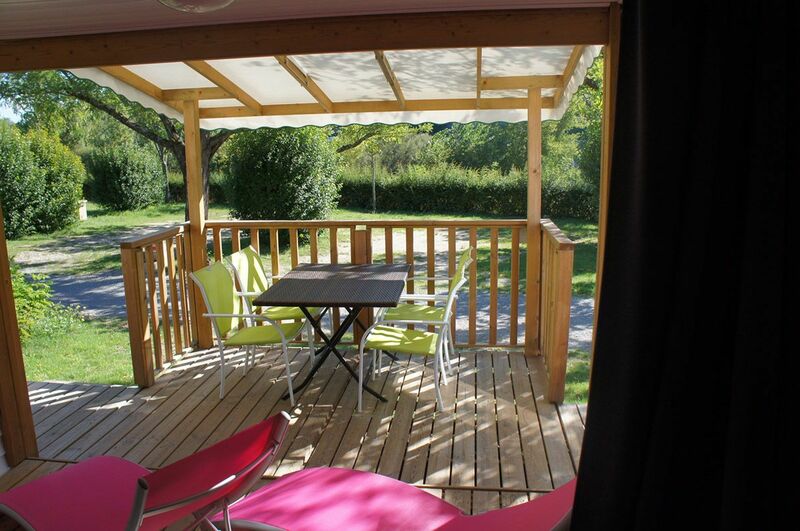 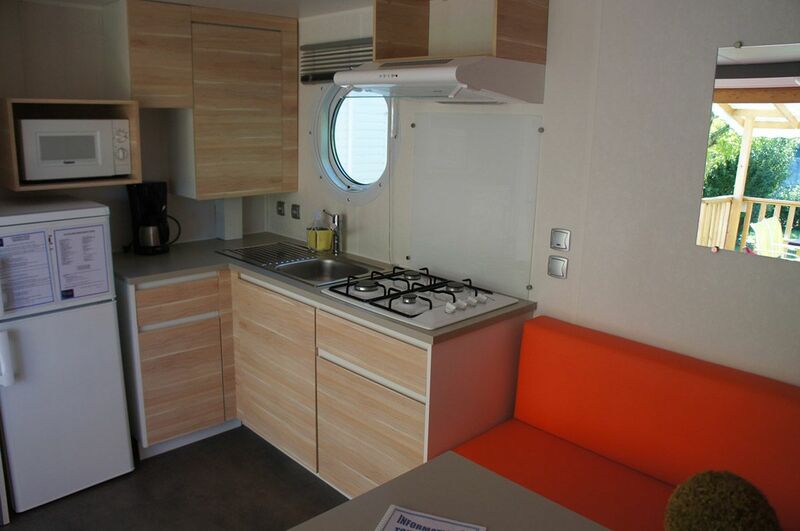 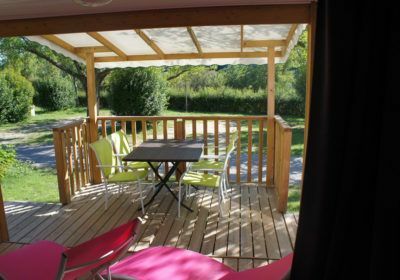 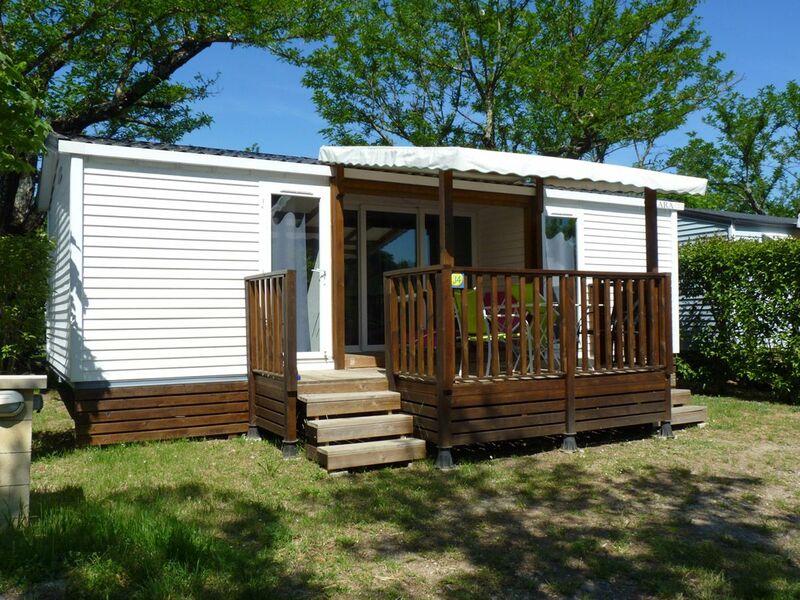 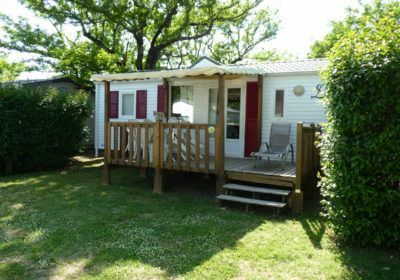 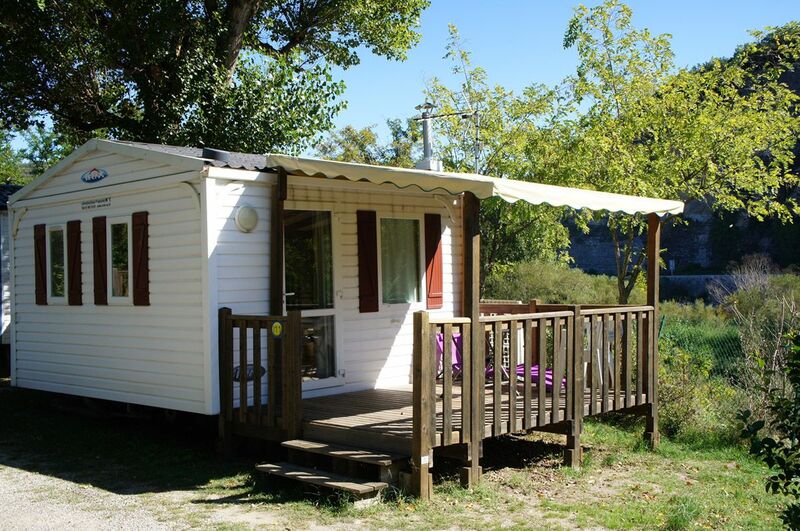 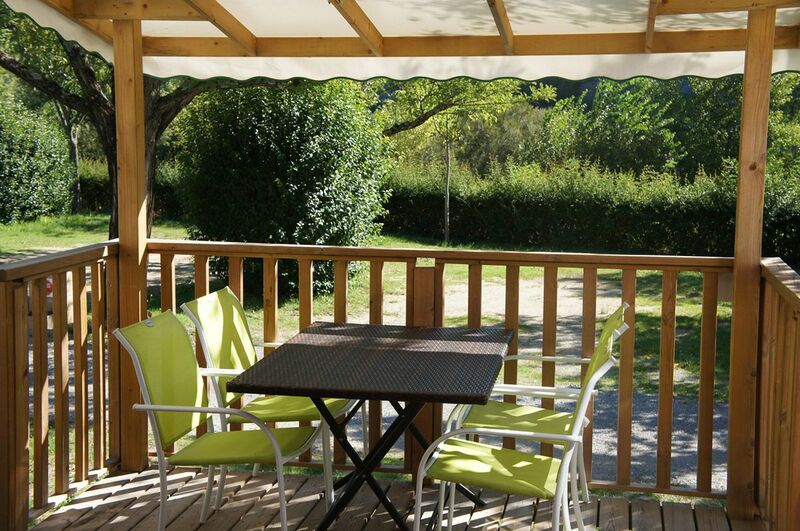 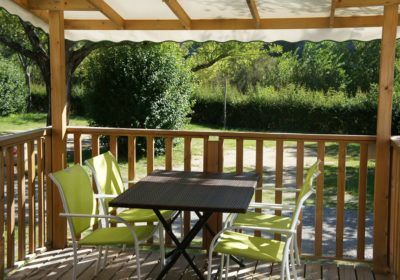 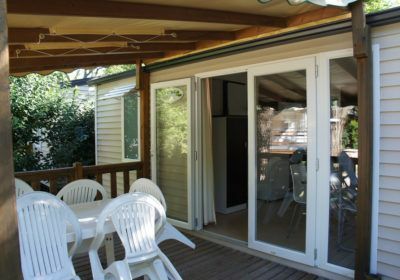 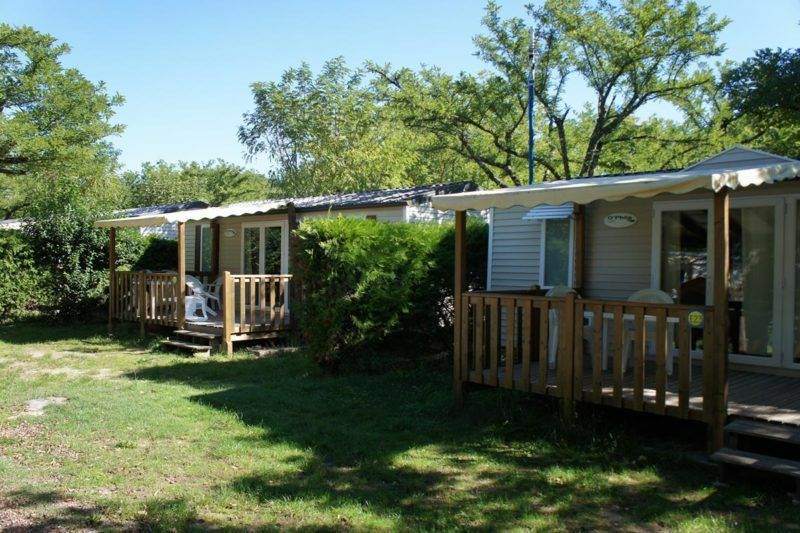 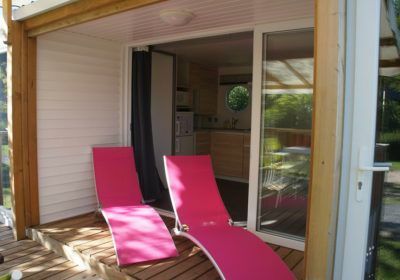 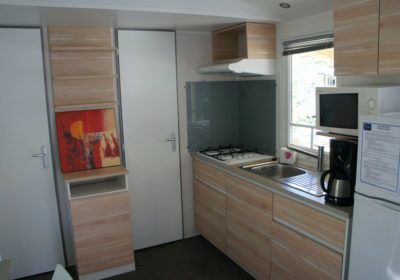 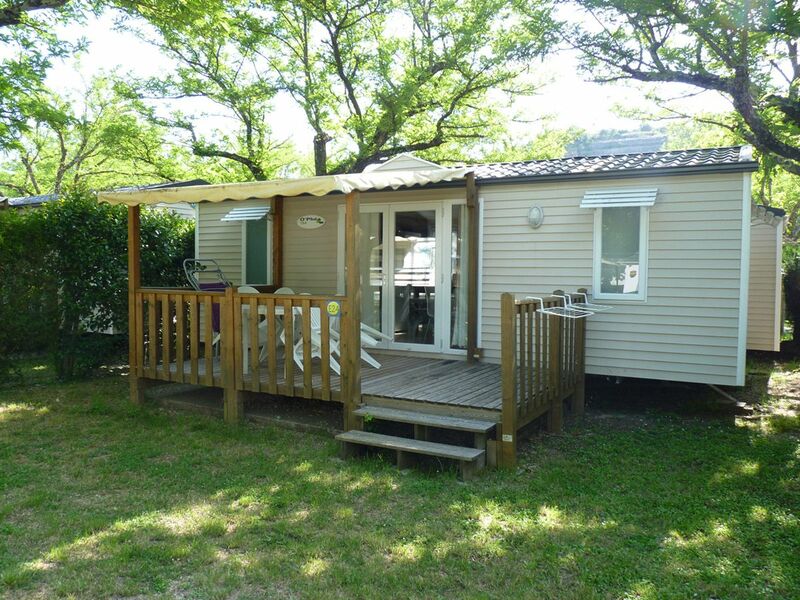 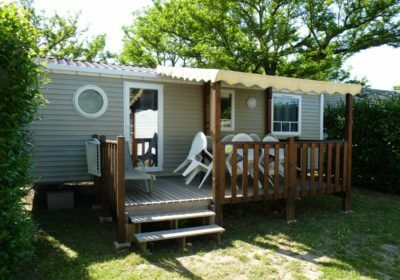 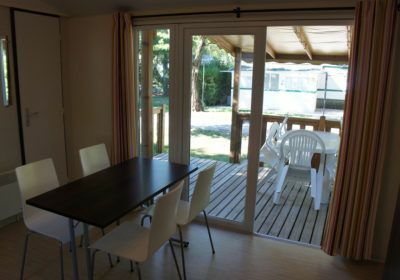 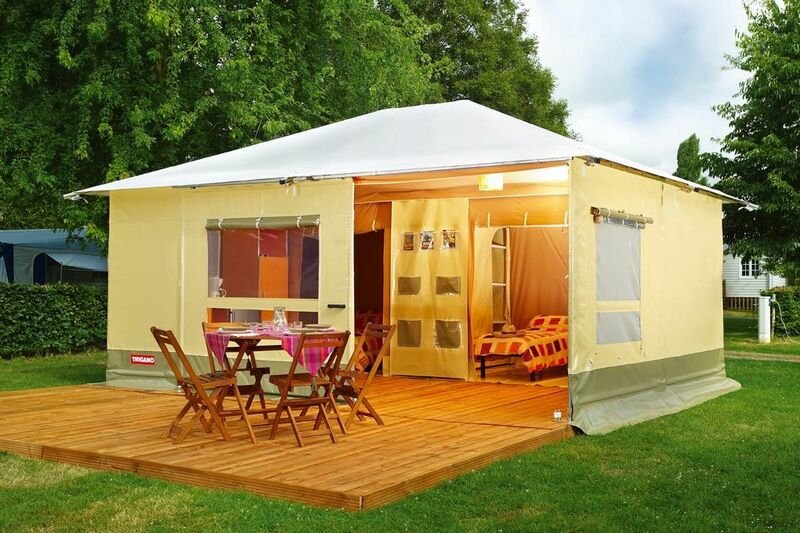 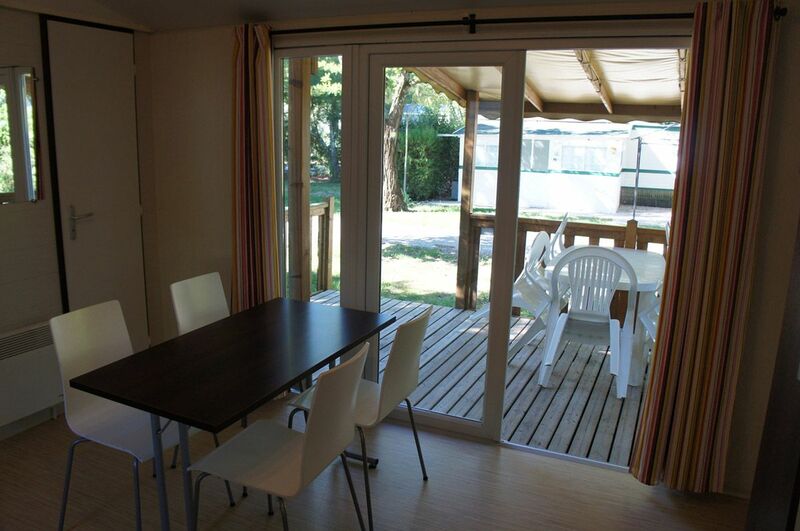 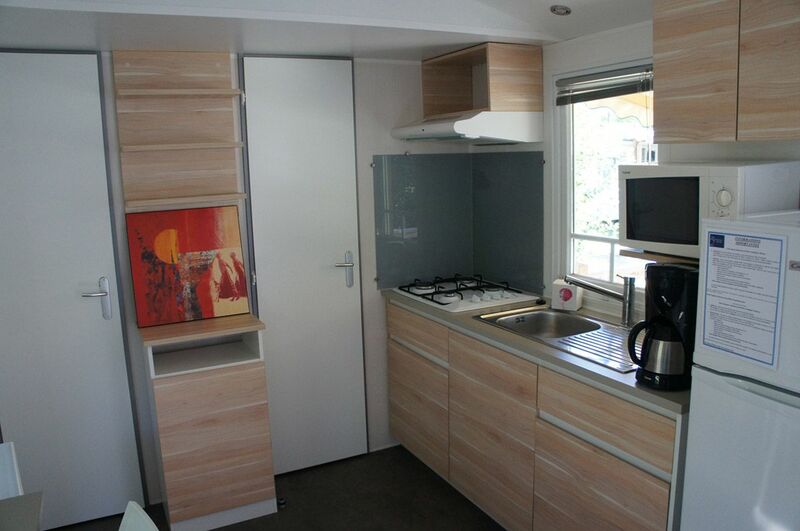 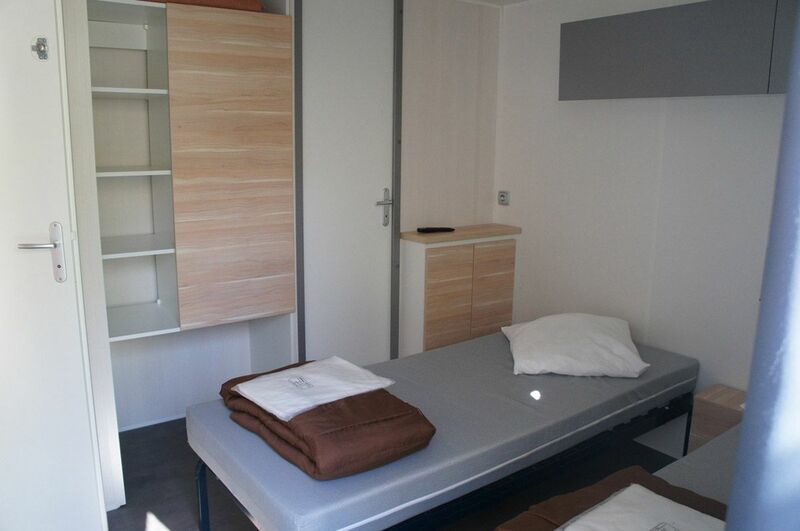 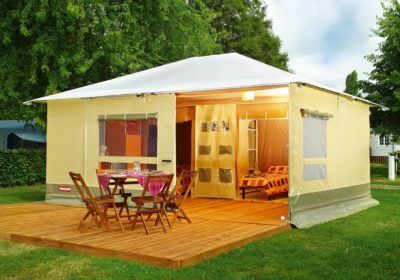 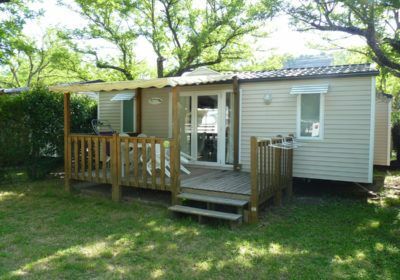 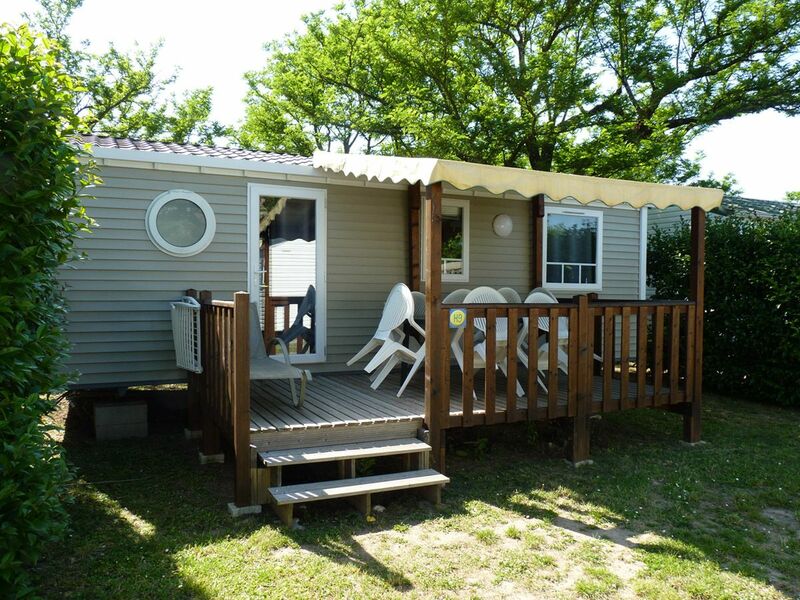 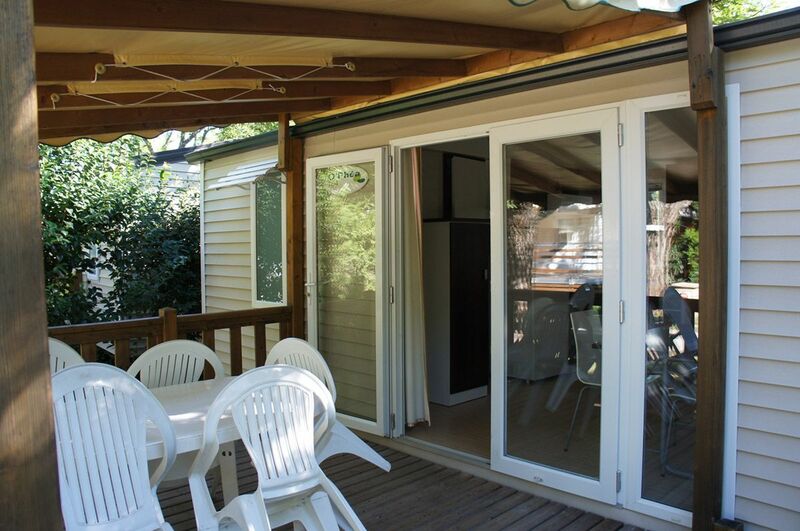 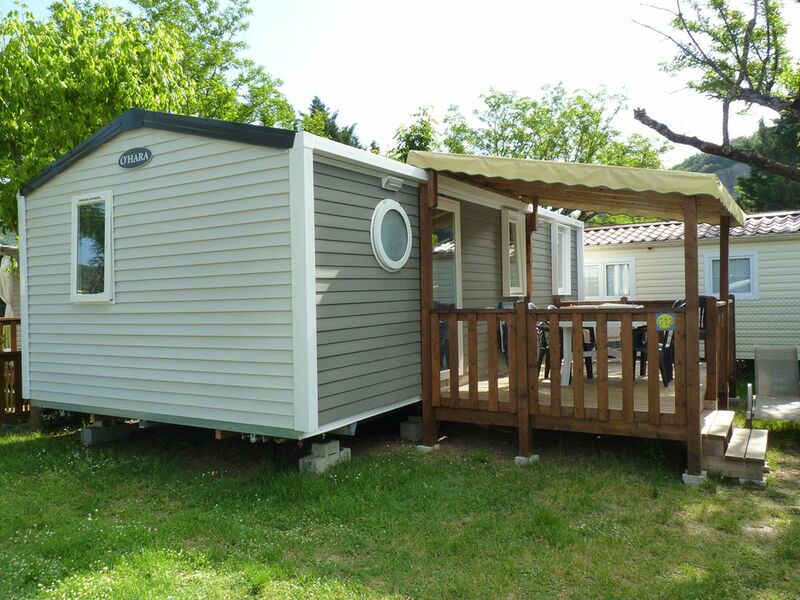 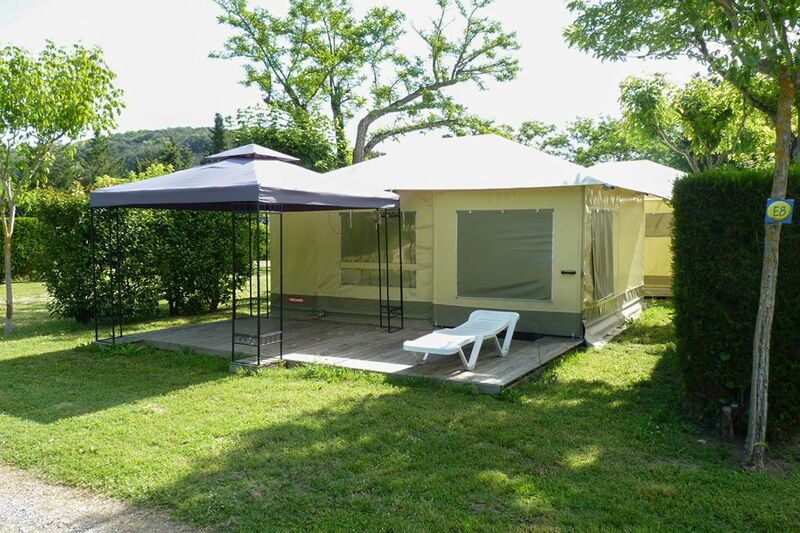 Le Riviera camp-site provides several kinds of accommodation for your holidays in southern Ardèche. 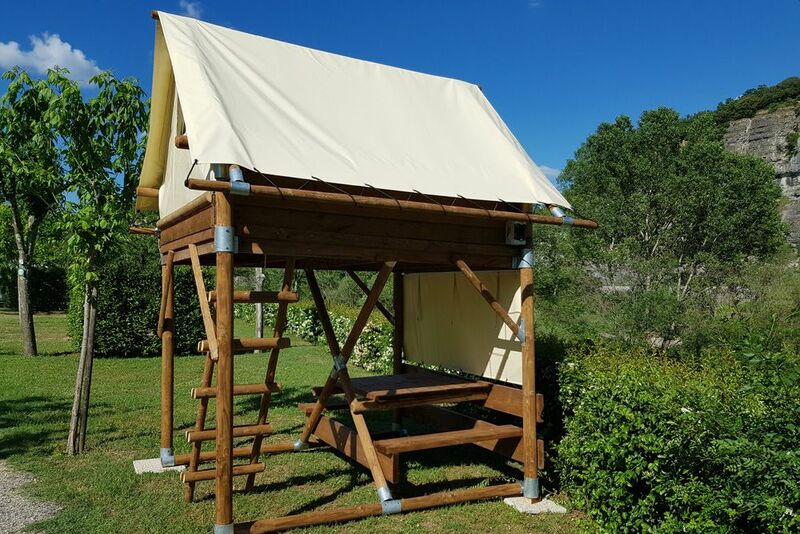 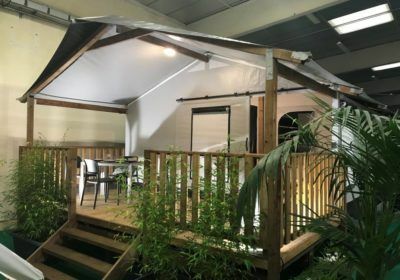 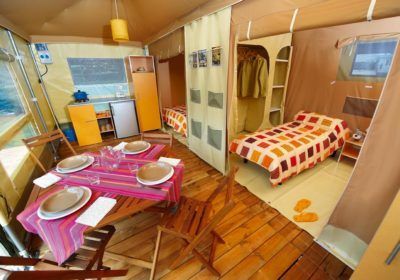 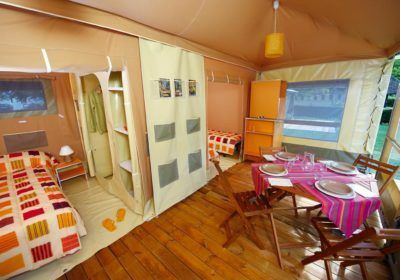 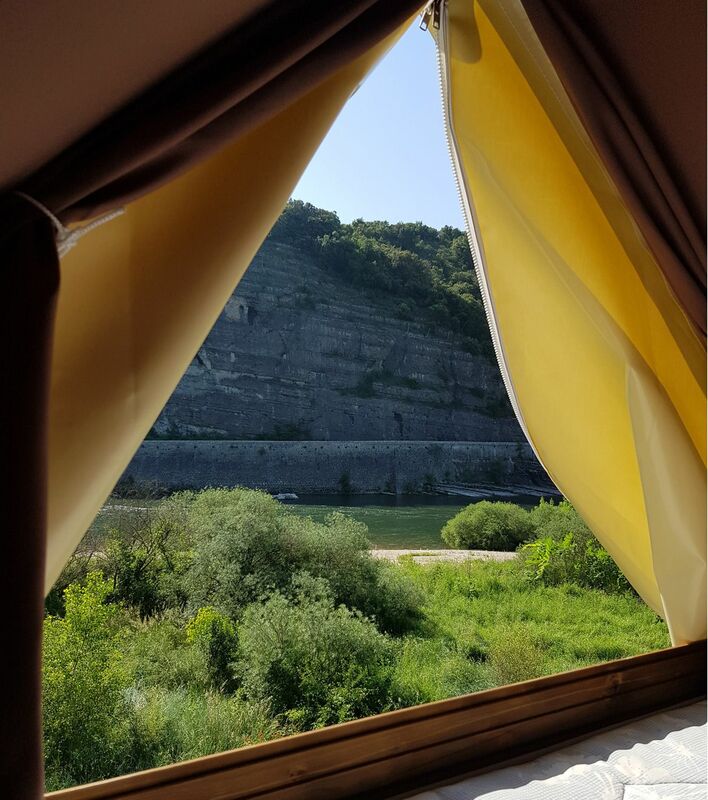 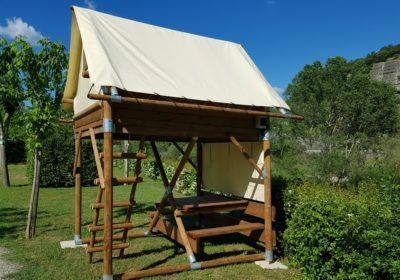 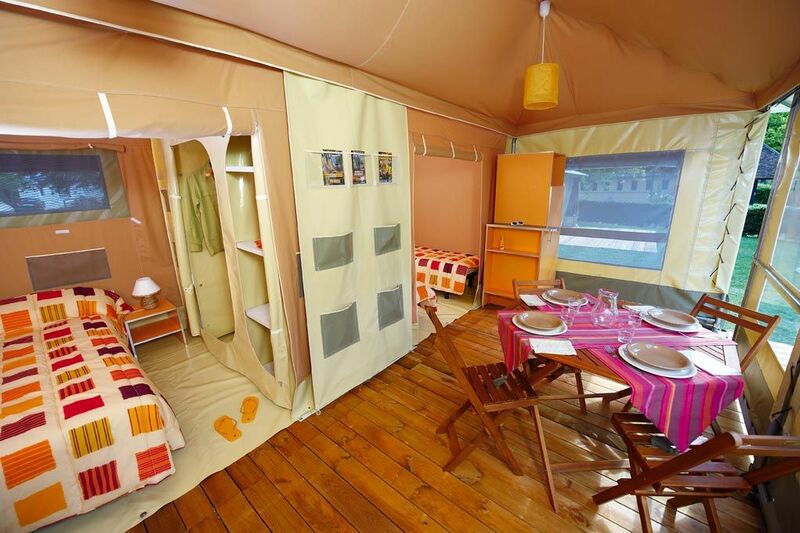 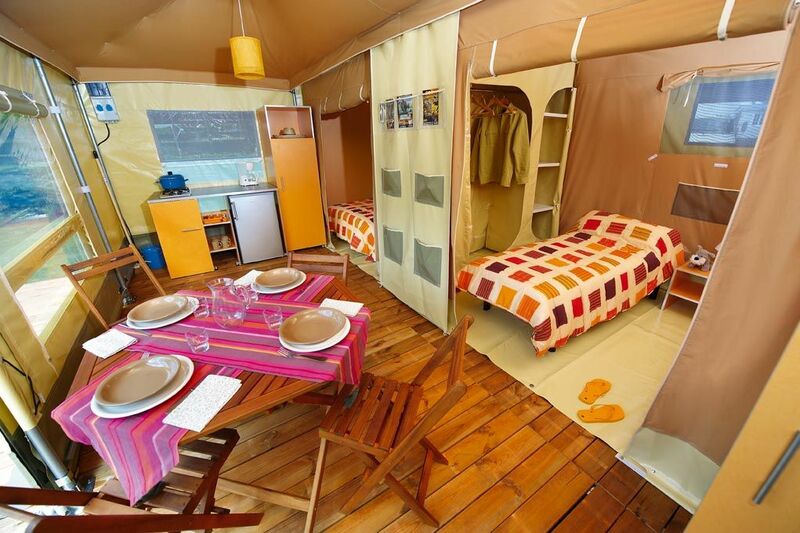 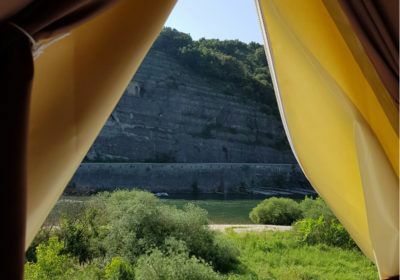 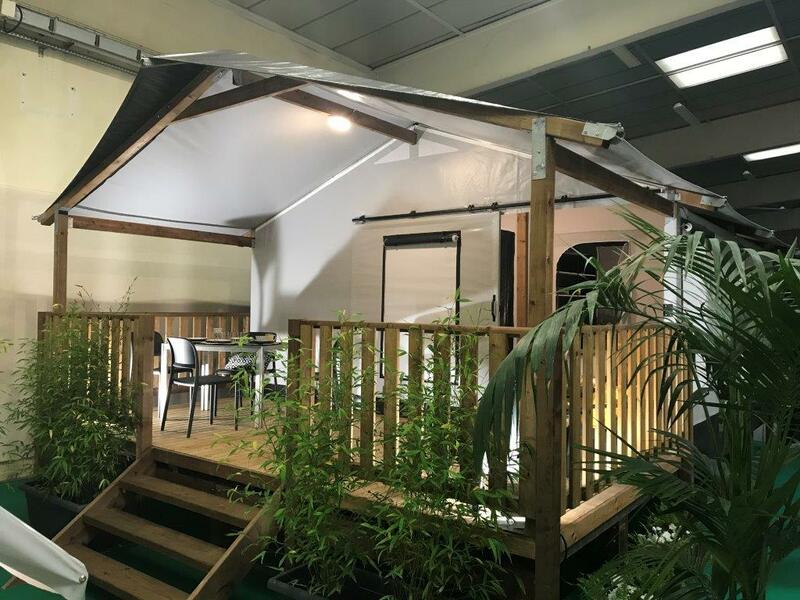 the Bivouac Tents and Canvas Bungalows, with 1 or 2 rooms, equipped kitchen corners, private terraces and access to the camp-site’s sanitation facilities are the half-way stage between camping pitches and rentals with their own sanitation. 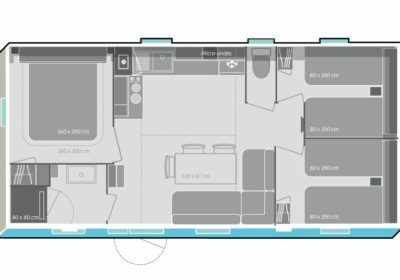 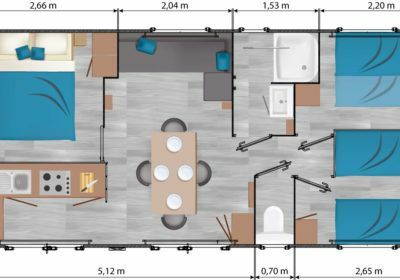 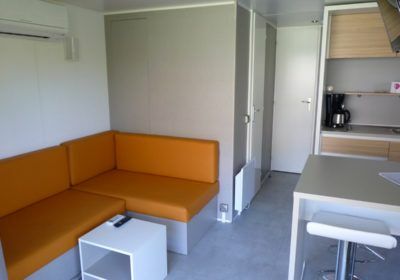 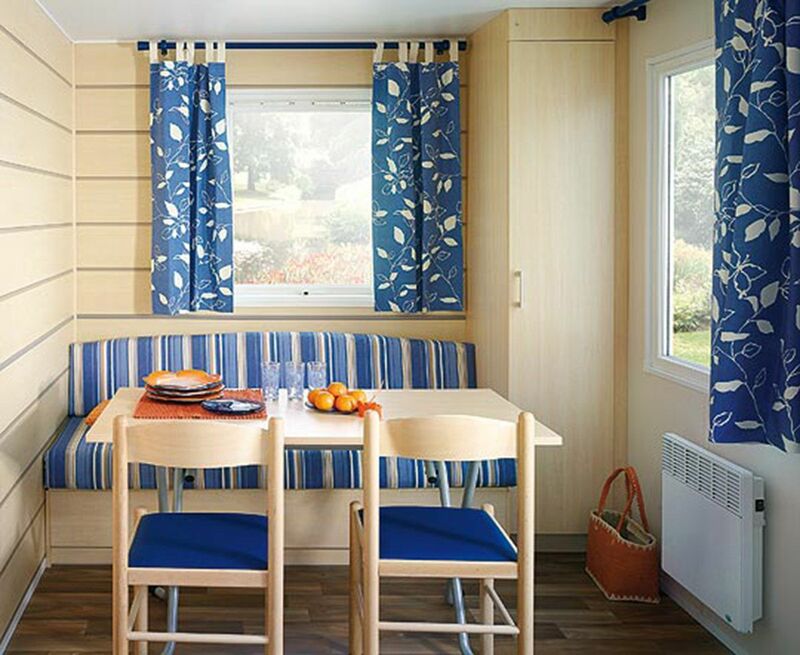 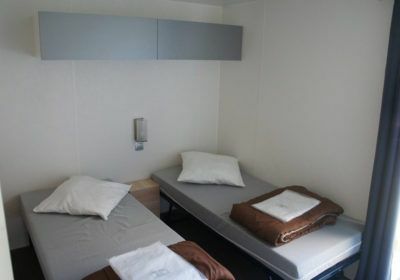 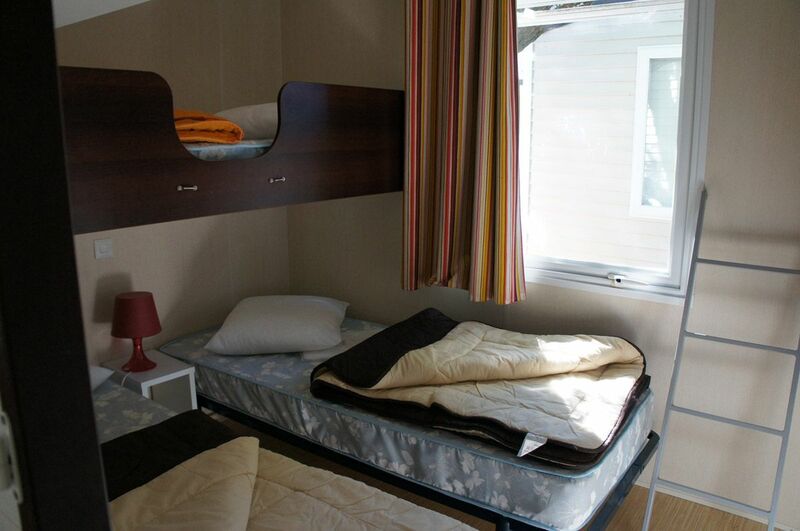 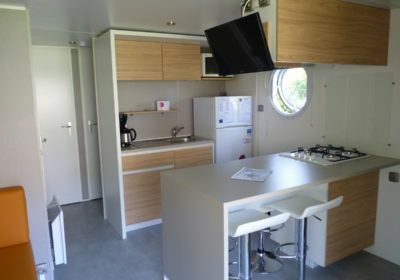 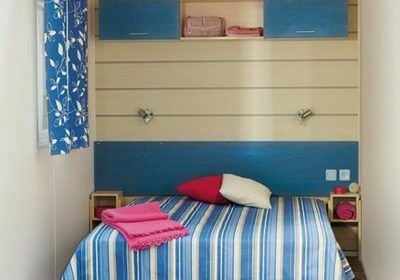 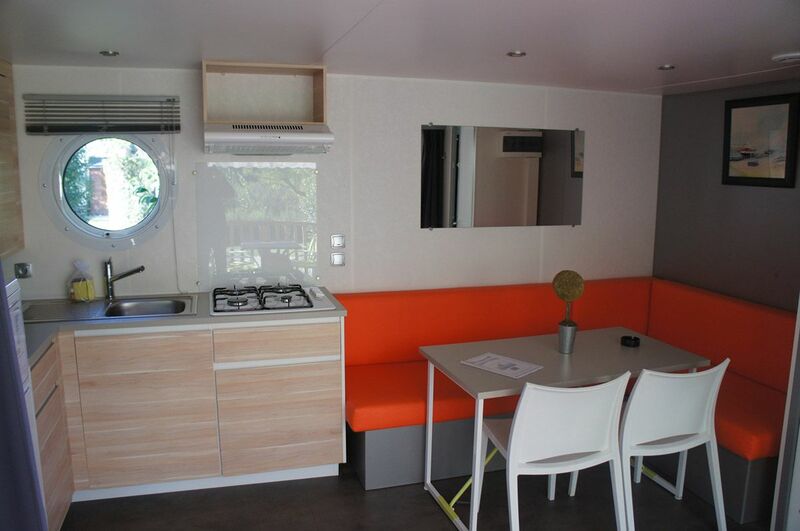 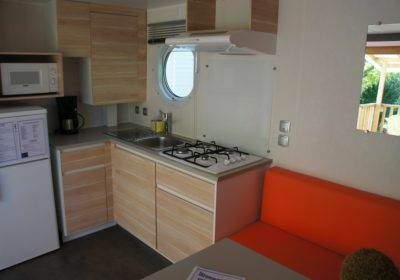 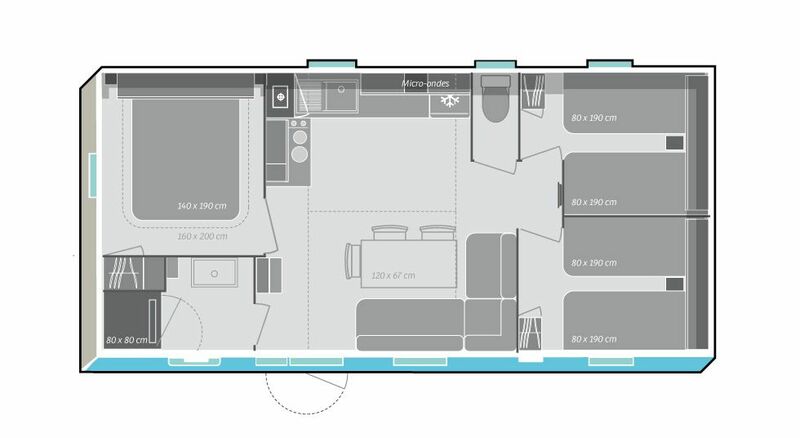 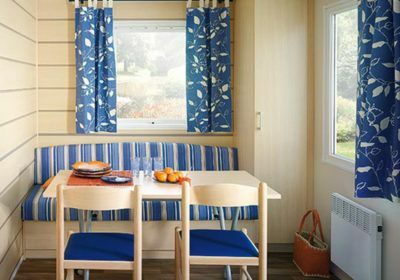 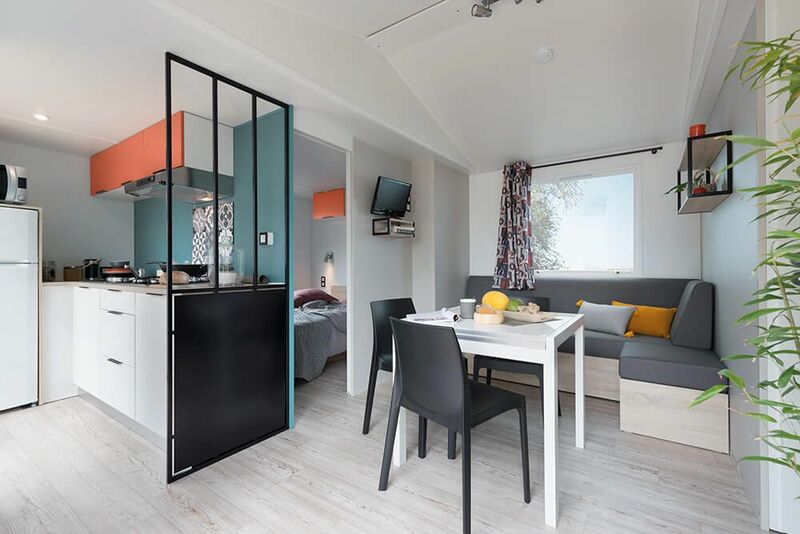 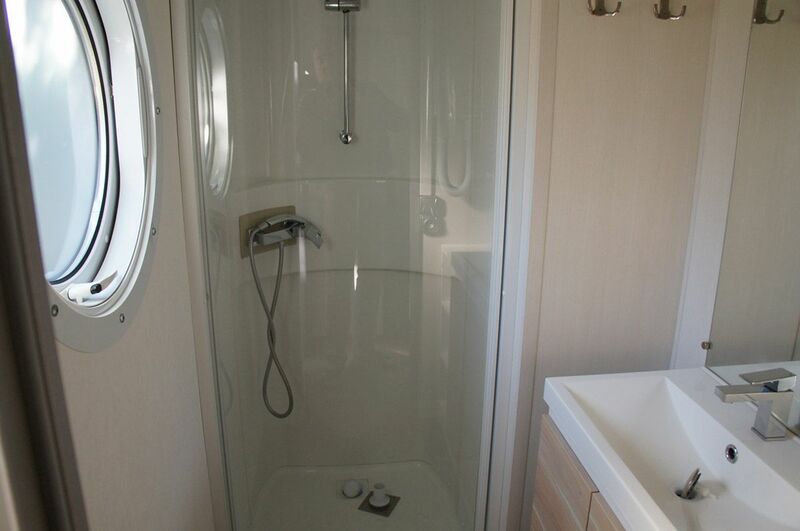 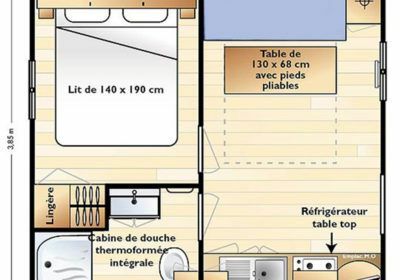 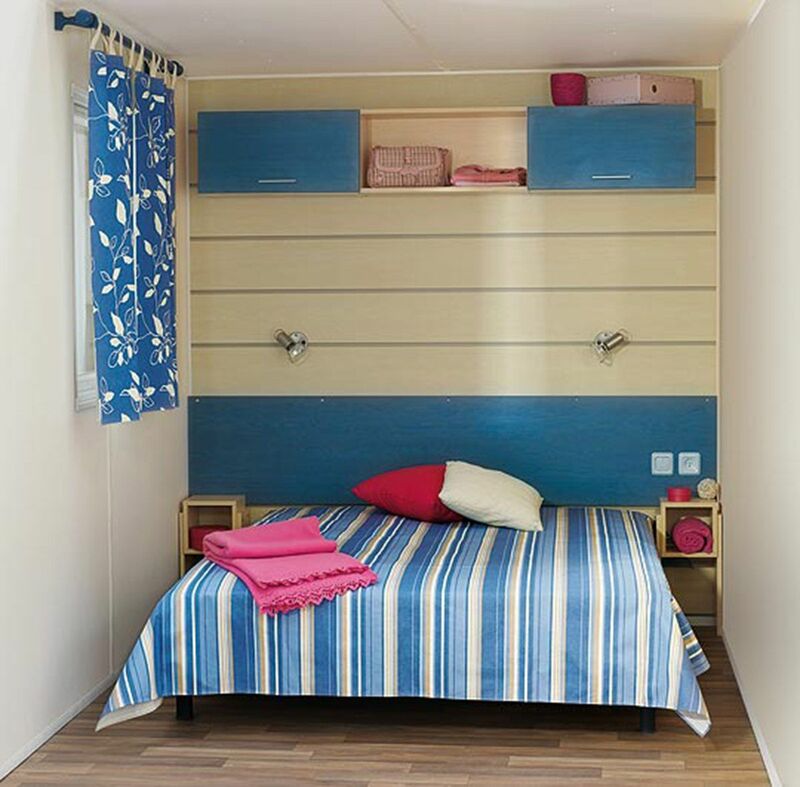 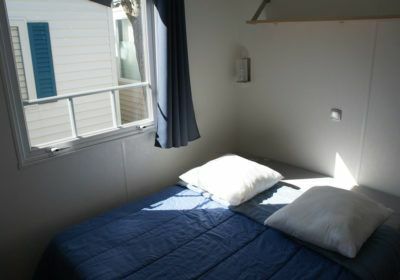 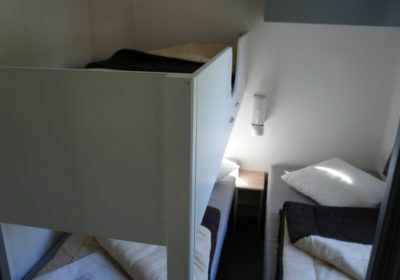 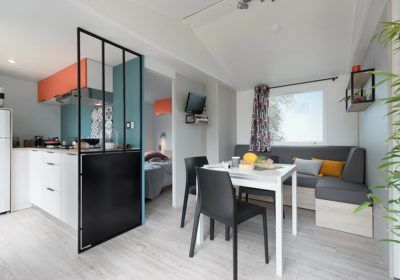 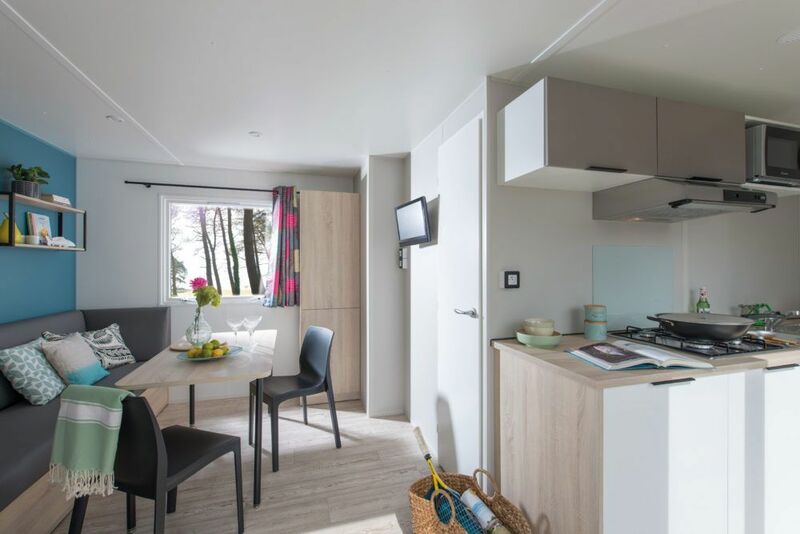 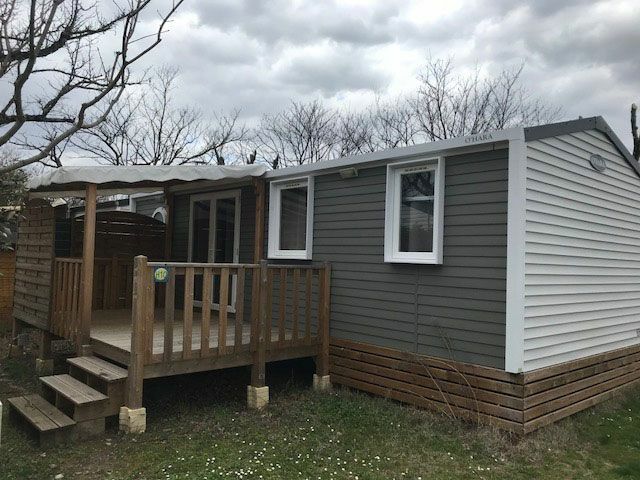 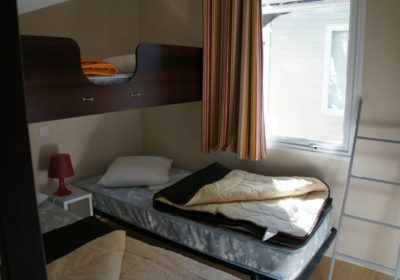 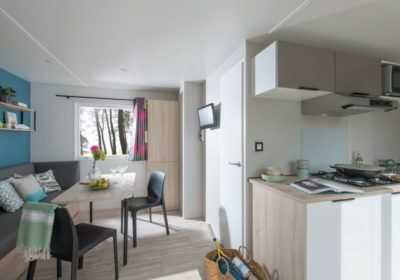 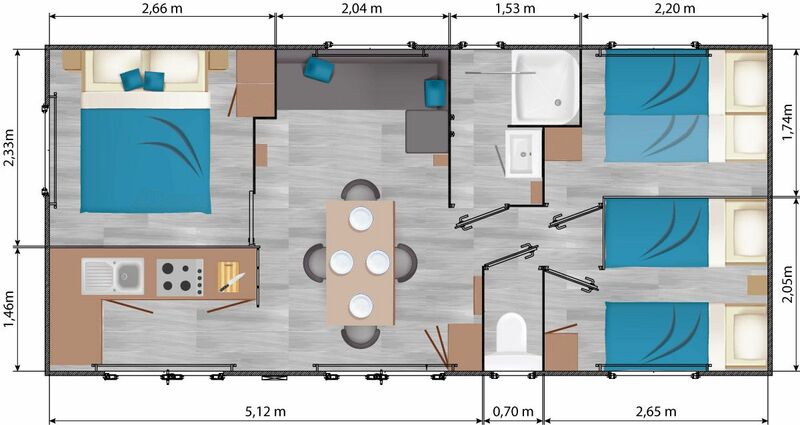 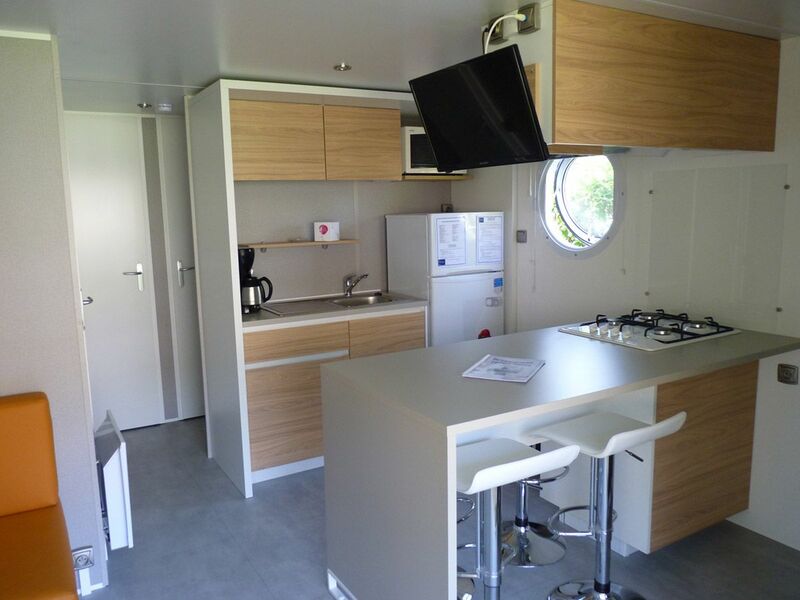 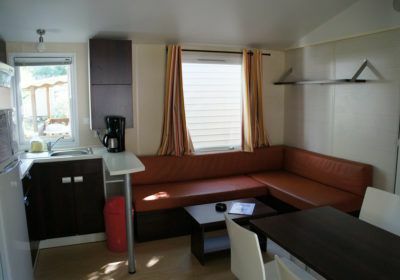 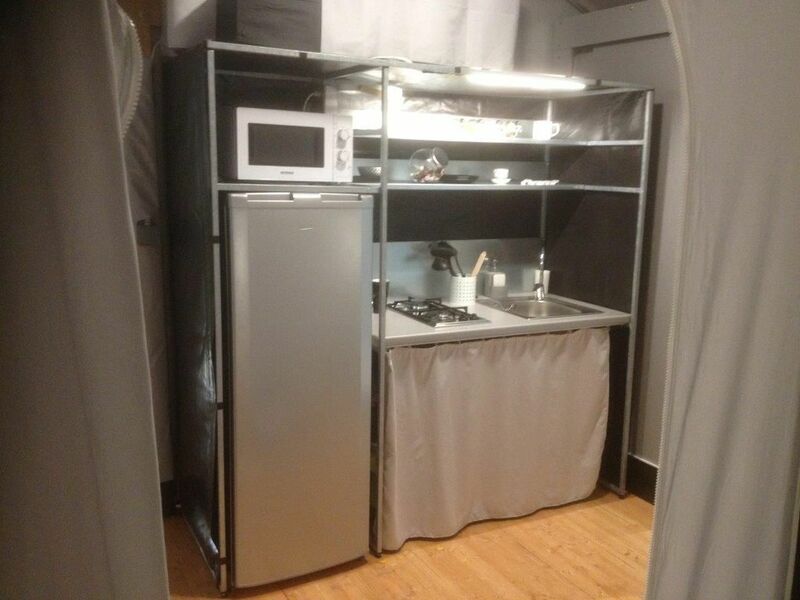 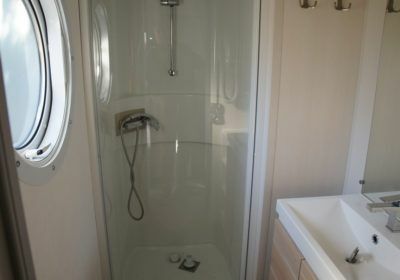 Depending on the model, our Mobile Homes, sleep up to 7 people in 2 or 3 bedrooms with a lounge, fully-equipped kitchen, private sanitary facilities and private terrace for total comfort. 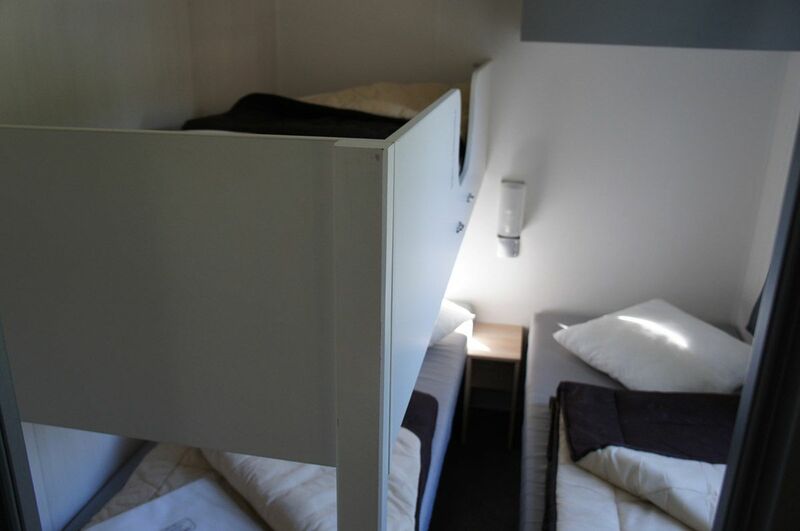 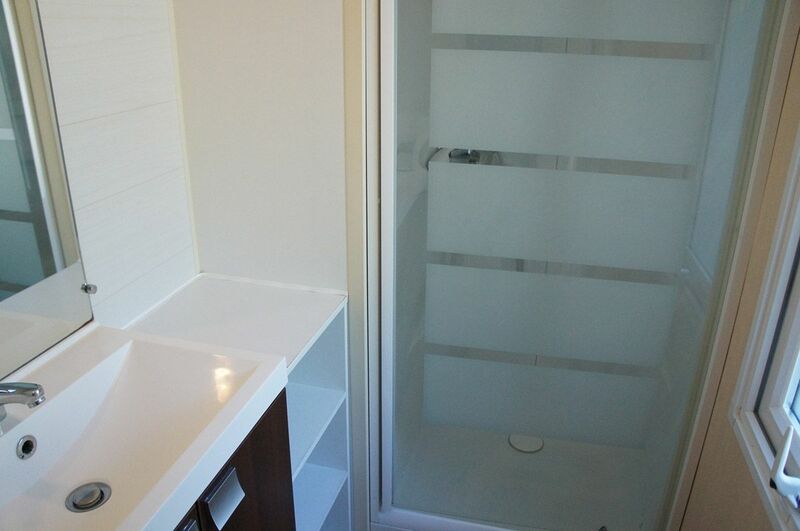 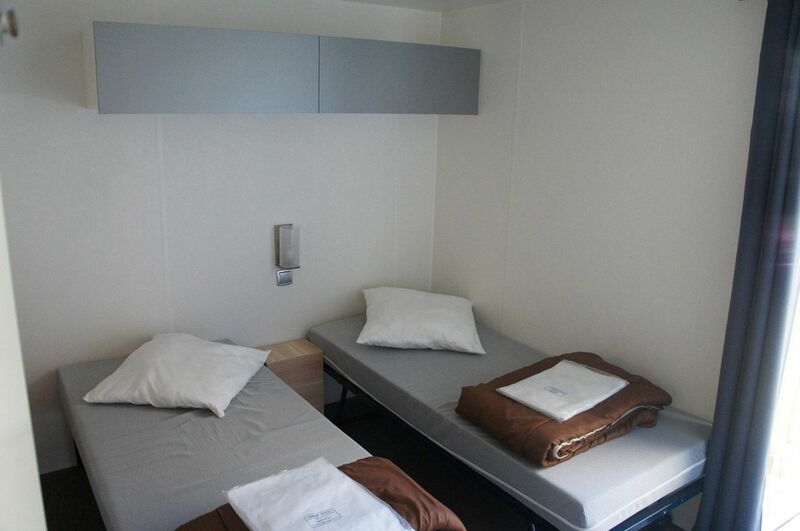 To simplify your stay and reduce your luggage, we can optionally let you sheets and towels. 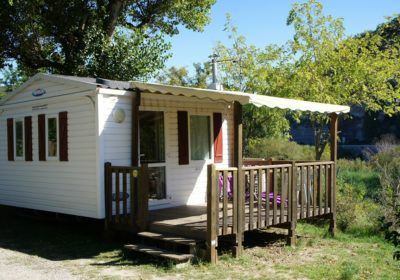 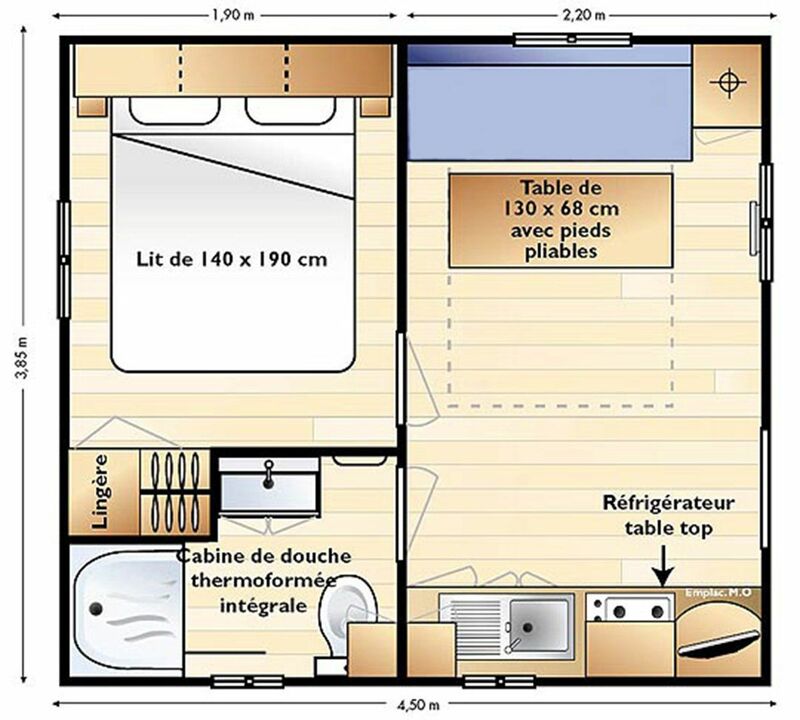 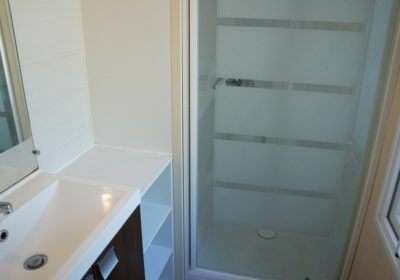 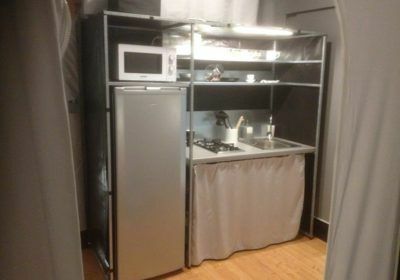 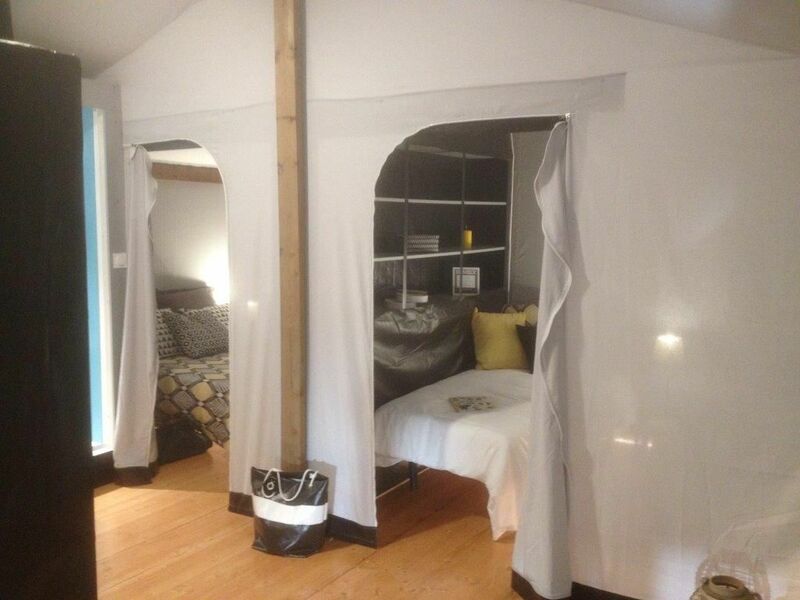 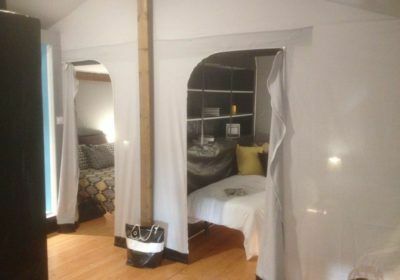 Comfort + Canvas Bungalow 25sq.m. 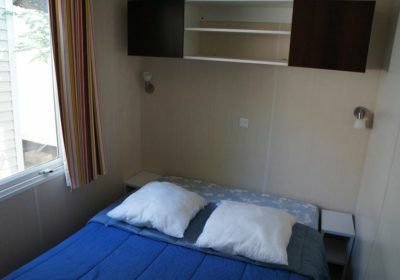 TV rentals (7 € / day). 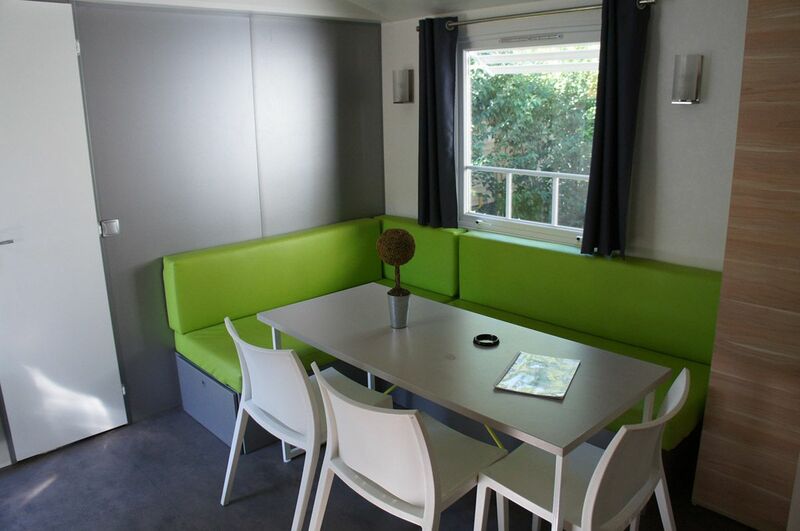 Prior booking essential.